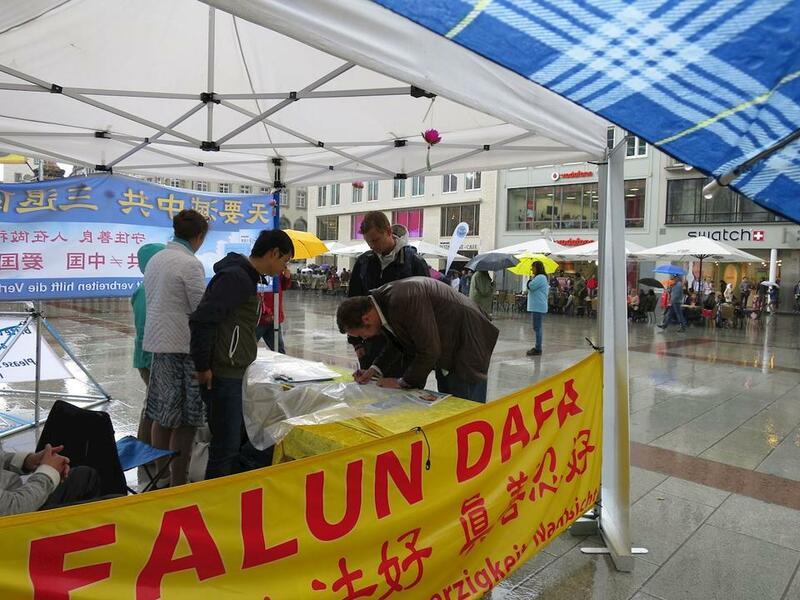 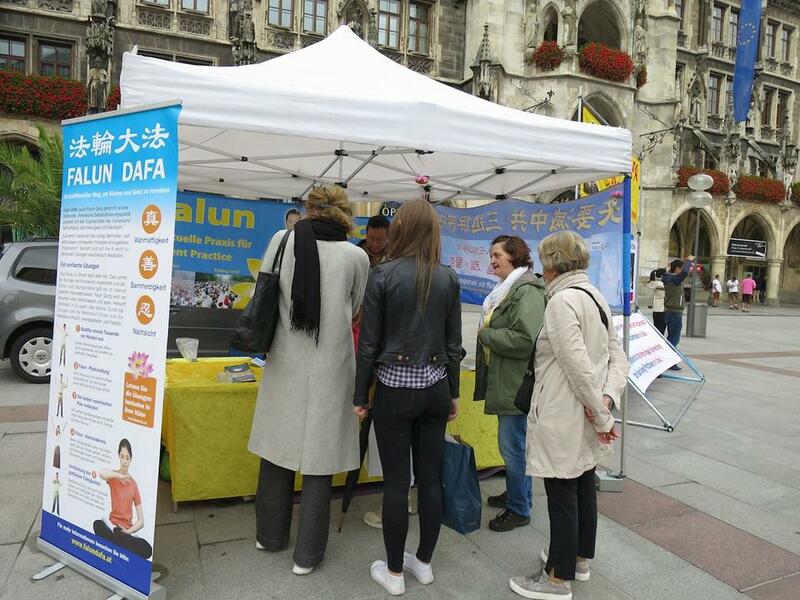 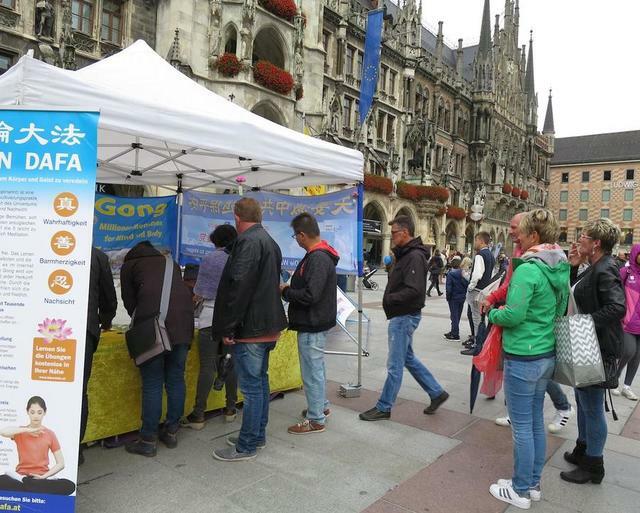 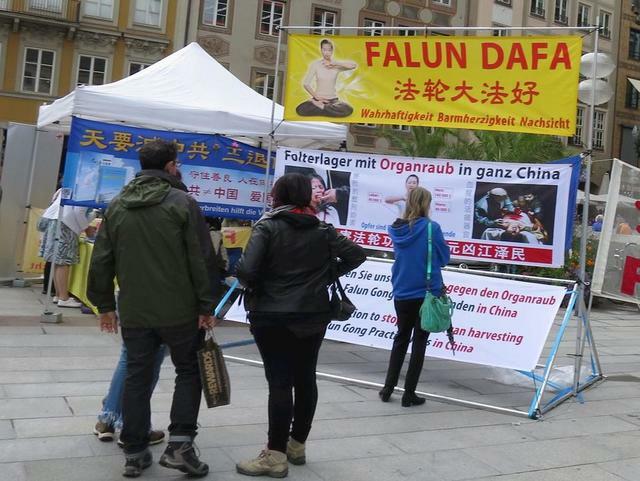 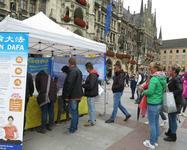 Falun Gong practitioners held events on Marienplatz, in Munich Germany on September 2, 2017, to expose the brutality of the CCP's persecution. 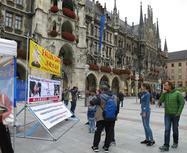 They held the events in front of The New Town Hall of Munich. 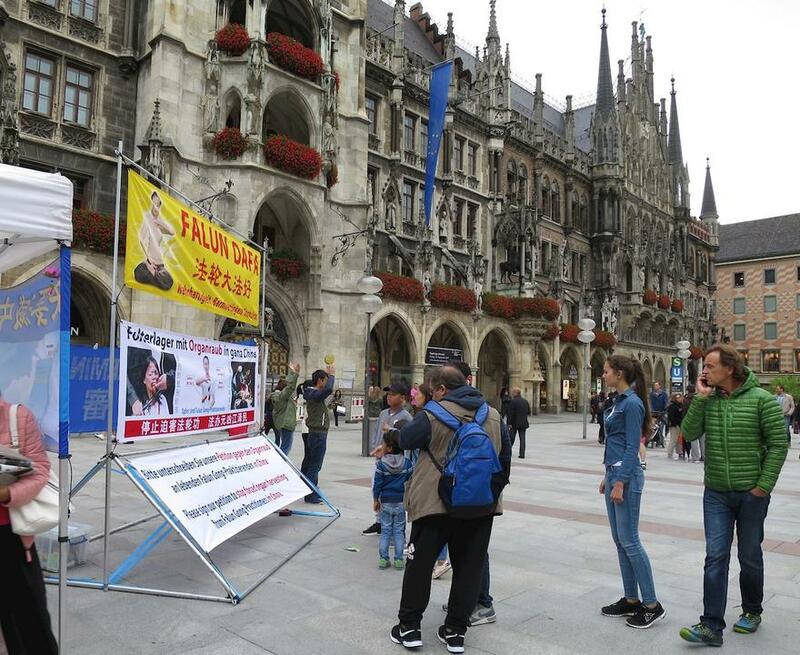 Many passersby paused to read the posters, watch exercise demonstration, and talk with practitioners. Many signed the petition calling for an end to the persecution. 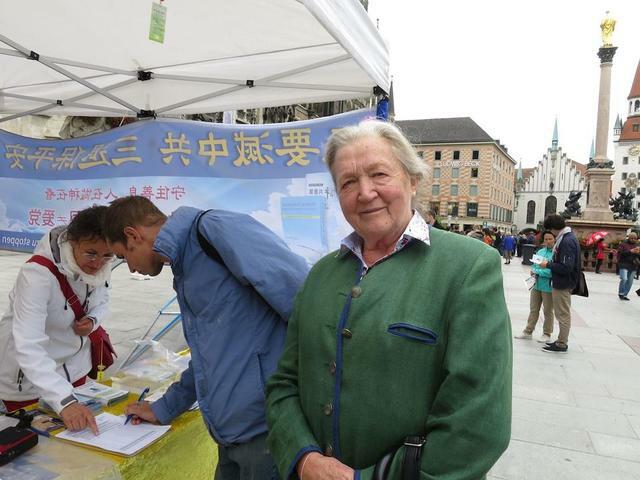 Petra Angerl, a retired merchant for a chain of clothing stores, said that the CCP's persecution was too horrible, and that the signature collection was an effective response.